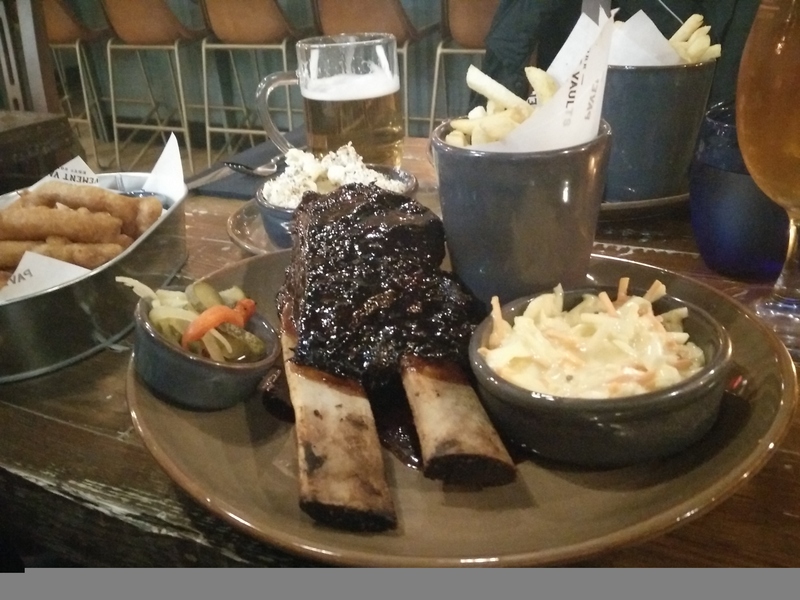 A review of the newest smokehouse in York, by CountryWoodSmoke Facebook group regular Rick Paul. 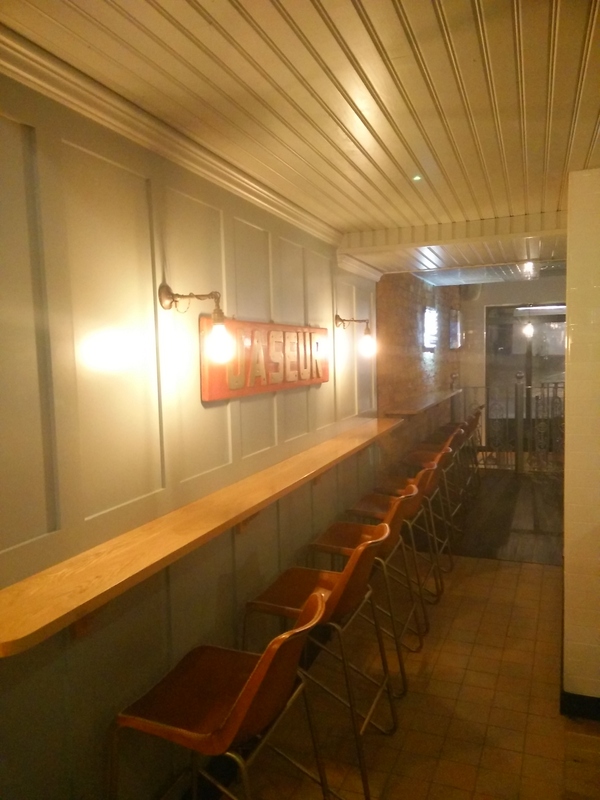 I finally got round to visiting York’s newest Bar & Restaurant, Pavement Vaults. I had been eagerly following their build progress for some time. It’s owned by the Pivovar group and is their first foray into restaurants. They have only been open two weeks so not taking bookings as yet. 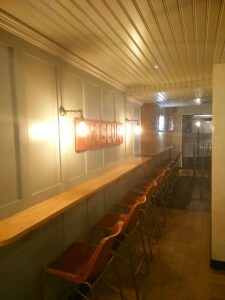 Luckily we managed to get a table straight away and a very good one at that, right opposite the open kitchen! First impressions were good. You walk through the (very well stocked) bar to get to the restaurant part at the back.The place is well decorated with lots of interesting quirks that you only get with the more independent places. A fairly simple but sufficient menu. The main bases were covered with beef and pork ribs, steak, burgers and chicken with a good selection of sides on offer. They also offer a selection of pizza’s. 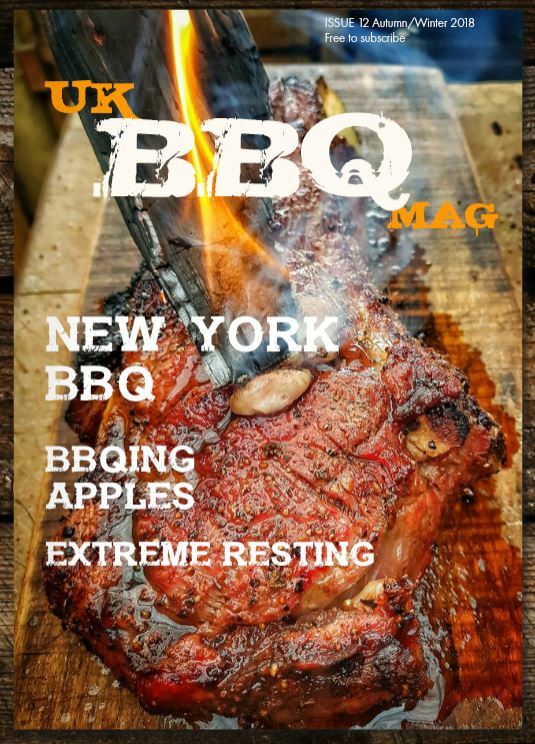 There is one major menu omission, brisket. Surely not! Brisket being a bastion of BBQ I had to question why is wasn’t available. I’m glad to say it is planned to be added to the menu at a later date. As it’s a new start up, the ethos being that it is better to do a few things well, than lots of things badly. We opted for Beef Rib and a medium Pork Ribs with sides of Little Mac and Pickled Onion Rings. The sided turned up first and had me salivating. Onion rings were crisp and tasty. 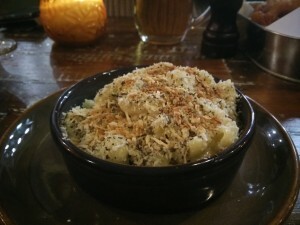 The Macaroni Cheese had a delicious crunchy herb encrusted top and a fantastic creamy texture underneath. Lovely flavour to it which I’m told is due to a drop of truffle oil. Do not miss this dish, it is tremendous! Mains arrived shortly after. 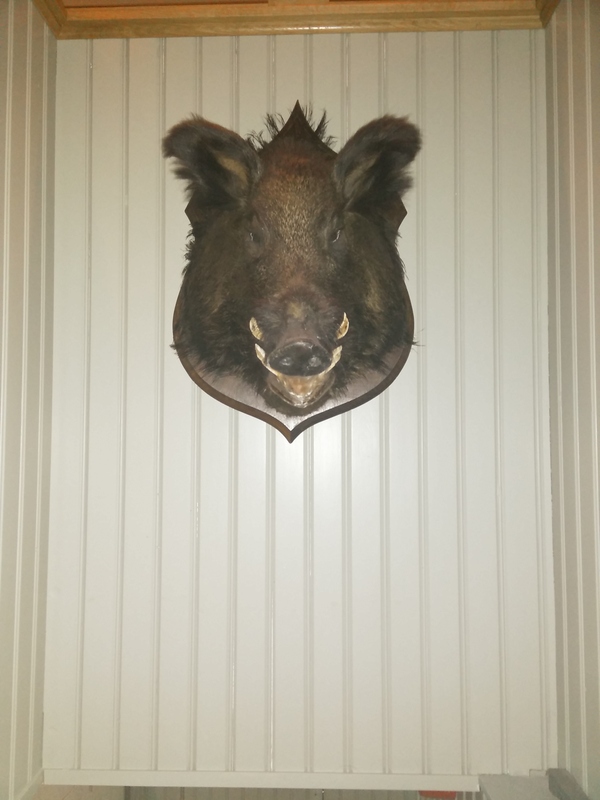 The meat is sourced from Sykes House Farm at Wetherby. That’s good to hear. I’m confident of the quality as that’s exactly the same place I source my meat from. 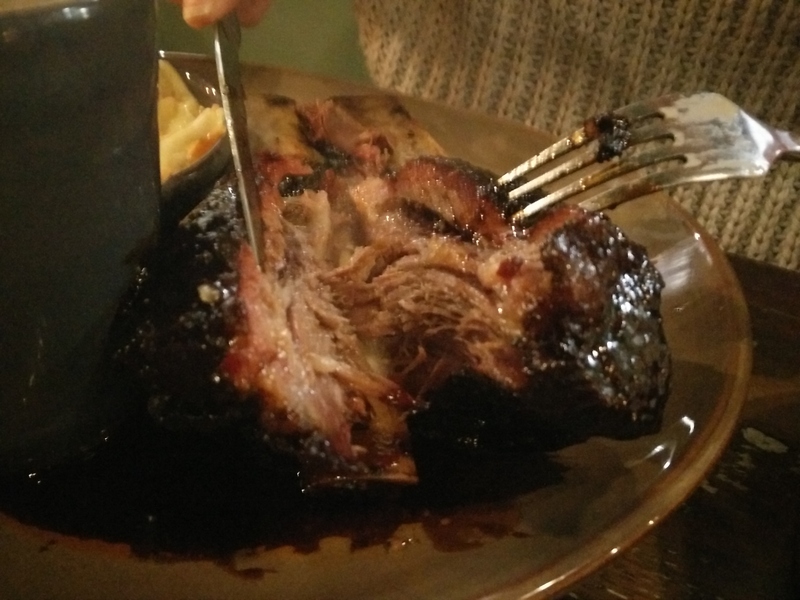 The beef rib was delicious. Is is in fact two ribs so a good hunk of meat. A lovely rich black crust and tender melt in the mouth beef underneath. There was evidence of smoke ring but not quite as deep as I would have liked. Regardless, it was a very tasty dish and I would have it again. 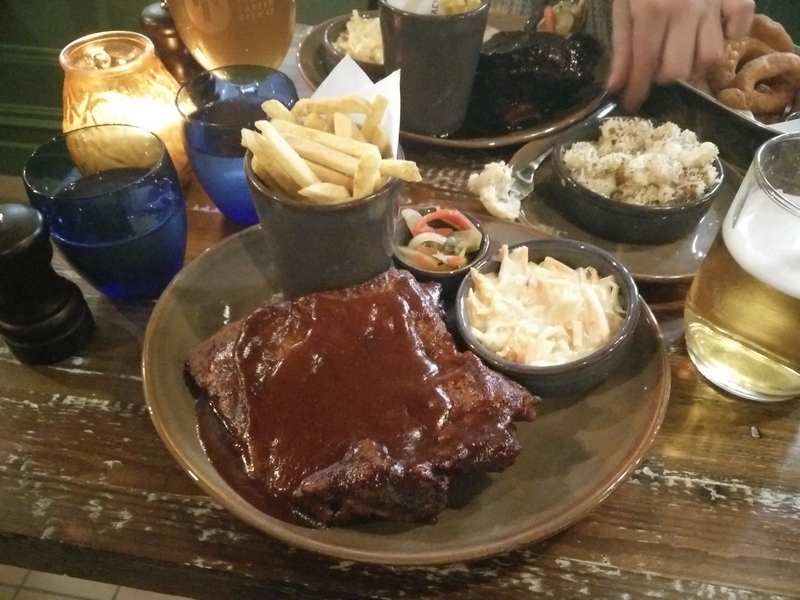 I initially thought the medium Pork rib portion was a little on the small side at six ribs but in many cases BBQ portions are far bigger than necessary and on completing the meal was nicely full so it must have been well enough sized.They do foil towards the end of the cook but the texture was still a little firmer than I expected. It had a bit of a cayenne kick to it which was a pleasant surprise, and overall very tasty. 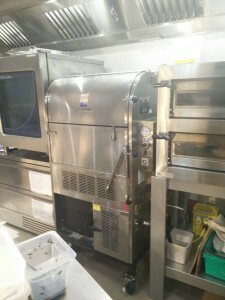 I was lucky enough to have a chat with the chef’s and have a look around the kitchen. I understand Andy Annat was involved with the setup but unsure if he has any involvement with the day to day running of things. 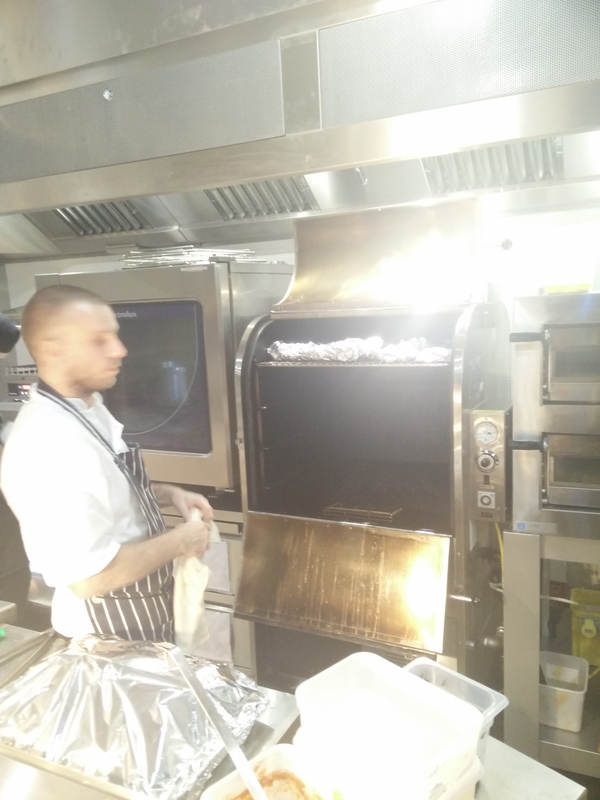 The chefs were new to BBQ so on a very steep learning curve but very enthusiastic and keen to hear feedback. I’ll probably visit again in a month or two to see how the cooking had evolved and hopefully to try out some brisket! If you’re in York definitely worth a visit.